Gorgeous Pacific Heights view home! Meticulously renovated and featured in Architectural Digest, with 4 bedrooms, 4.5 bathrooms, plus an additional family room and half bath with separate entrance. Stunning finishes and design throughout. The main level features a grand foyer, living room, dining, powder rm, laundry, and eat-in open chef's kitchen w/breakfast area, plus walk-out garden access. The 2nd floor has 3 large bedrooms and 3 baths on one level. Upstairs is the fabulous master suite, complete w/wet bar, 2 walk-ins, and views of the Bay & Alcatraz. There is a roofdeck with sweeping views, a lush level garden, and multiple decks. On the ground level is a family room, laundry rm, half bath, 2-car garage plus parking pad, and elevator! Lot Size: 0.08 Acres / 3654 Sq. Ft.
SchoolsClick map icons below to view information for schools near 2714 Pacific Avenue San Francisco, CA 94115. Home for sale at 2714 Pacific Avenue San Francisco, CA 94115. 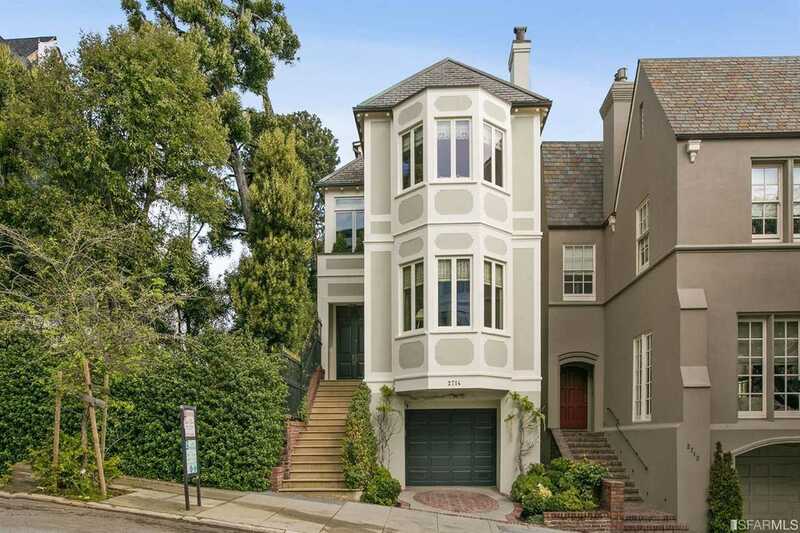 Description: The property at 2714 Pacific Avenue San Francisco, CA 94115 with the MLS# 483116 is currently listed for $9,990,000 and has been on the San Francisco market for 14 days. You are viewing the details of the real estate listing from the East Area MLS at 2714 Pacific Avenue San Francisco, CA 94115, which features 4 bedrooms and 5 bathrooms, and has approximately 4930 sq.ft. of living area.